I was a Jack drinker for several years but have now found Buffalo Trace which I am starting to prefer. I love buffalo trace. I have had almost every bourbon and Buffalo Trace is by far my favorite to drink neat. I'm no fan of Jack. Tennesse needs to learn how to make whisky from Kentucky, IMHO. I drink Irish, Jameson's 12 in fact. But, when it comes to REAL bourbon, I like Evan Williams. It's very good and reasonably priced. Like an honest southerner. Yes I am a Buffalo Trace man too! Have a mostly empty bottle in the pantry, but I do like Beam. I have a couple-three favorites. I'm not opposed to Old No. 7 but it's not one I'd buy before those listed. However; I have been to the Daniels Distillery many times. It is home to one of my all time favorite aromas. On the tour, you're afforded the opportunity to smell the whiskey as it is being filtered. Not only does it give you a good buzz , but the aroma will stay in your sinuses for a couple of days.... Magnificent! Erza Brooks is great stuff but hard to find up here on the Maine coast. Anyone ever try Rebel Yell? I have fond memories of that stuff. It used to be sold only south of the Mason-Dixon line. I was a Makers Mark guy until I tried Woodford Reserve. Now Woodford is my every day bourbon. I also keep a bottle of Blantons on hand for when I want a treat. Plus it has an awesome bottle! I had a bunch of sample size bottles of Jim Beam Devils Cut and it wasn't bad. How do you all take yours? I'm usually a 1-3 ice cube guy depending on the brand. I am digging the Eagle Rare 10yr. Are there really people that put anything in their liquor?!!! 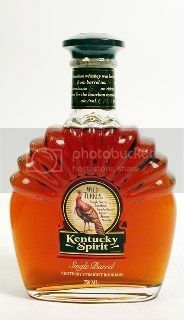 My favorite bourbon is Wild Turkey Kentucky Spirit. I was in Omaha for ten months and decided to do a bourbon test. I would only buy the ones that had the little tag saying they were rated by whomever 90 points and above. There are three fancy Wild Turkeys: Russell's Reserve at about $30, Rare Breed at about $40, and Kentucky Spirit at about $50. Rare Breed was rated 95 points by someone, Kentucky Spirit was rated 98 points by Wine Enthusiast - the highest rated stuff I heave ever tried. I think they are right; you can tell the difference between Rare Breed and Kentucky Spirit. It is awesome. It's 101 proof, so the first sip will burn, but the complexities of the flavor and the smoothness will win you over. Take tiny sips, so it almost melts on your tongue. It also has a cool seashell looking bottle, which makes it taste better. Hand lettered and numbered, but it no longer comes with the cool heavy pewter stopper, it's now wood; I guess the pewter cost too much. Oh, I do love my bourbon. Lately grown fond of Makers Mark. I love the Jack Daniels Honey and Jim Beam Red Stag. Always throw a few whiskey stones in the glass. Knob Creek & Makers Mark are my usual and Woodford Reserve is a great drink. There's another great real bourbon I can't find here -- Woodford Reserve. Oh well, when I pull the bottle is usually ain't some of the lame bourbon we have here in Maine. Our Governor is in the process of changing that, so we shall see. So, for now, the best I have is my Jameson's 12 year (the older. more expensive one, really isn't as good --I don't care how Irish or Jewish you are) LOL. I enjoy Woodford a lot!! I also like Jack single barrel... I have heard that four roses is a good bourbon?? I need to try some of these mentoned! And I do like it with ginger ale and a cigar but do like it over an ice cube, or straight too! Edit: the first hing I want to do when we move to KY is go on the Woodford bourbon tour! For me, it's the little-known Sam Houston. Currently working through a bottle of Woodford double oaked...My wife loves it but I feel the oak overpowers the butter and toffee flavors I love about Woodford. Guess I'm the only one that likes ole Jim Beam. Jim Black or Jim Rye for me. Four Roses Small Batch. It's a gem, but a bit pricey. 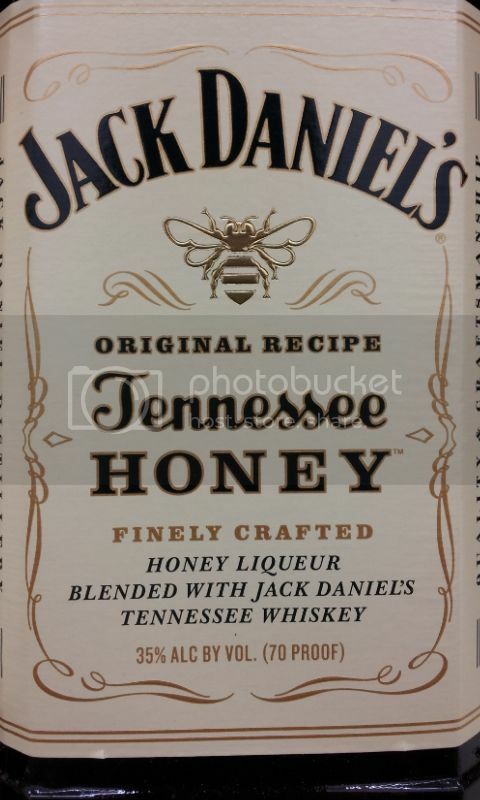 Even though, strictly speaking, it's a sour mash that seems to be targeted for bashing on this thread - I stay with Jack. I actually just started collecting / accumulating whiskies. I have all types but concentrate on Bourbon and Canadian Whiskey. My favorite by far is Gentleman Jack. To me it is much smoother then regular Jack. I both drink it neat and make whiskey cocktails. My drink of choice through college was Jack & Dr. Pepper. I always thought they complemented each other better then Jack & Coke. Most bartenders thought I was nuts until they tried it. I also have been going into the new flavors. I do like the Jack Honey and the Crown Maple. The Jim Beam Red Stag (Cherry) is good but I think too sweet. I made a whiskey sour with it the other night and had to cut it in half water it was so sweet. I have seen a lot of mentions of Buffalo Trace and will have to get a bottle. @Lawrence - You can keep your Wild Turkey 101. That stuff is like turpentine. Wild Turkey 101 is like turpentine? Maybe I should give turpentine a try then. You fellas gave me a few new ones to try. Currently Knob Creek, but I love trying something new. I have never tried Ezra Brooks... Gotta look out for that. Woodford Reserve for "everyday", Blanton's when it's more special. Have a peek inside my cellar! I haven't tried many, mind you, but I could be content to stick with Buffalo Trace. Beautiful aromas - it's a pleasure to drink. I totally agree with Boggler....Blanton's Single Barrel is my first choice. As stated not a bourbon but It's what I like. This is my everyday drink - smooth enough to drink neat, complex enough to make a good Manhattan, cheap enough to always have on hand. It's the best bargain in bourbon, IMO. It's in most of our Virginia ABC stores, even here outside D.C.
Maker's 46, two cubes and you are good to go. Since the day I first tried it, I'm a Buffalo Trace man all the way. Woodford Reserve for everyday. Hirsh had some nice old (and spendy) bottlings but I haven't seen them in awhile. Maker's is just not all it is cracked up to be. It is not terrible, but it is definitely not worth the price! Small, single batch bourbons are so much better than the blends. I was in Virginia last weekend and found a new to me Bourbon that I really enjoy. Elmer T. Lee. In order of preference my favs would be Blantons, Woodford Reserve and Elmer. There aren't many that I don't enjoy but those are the top of my list presently. Like tobacco---- so many good choices. Elijah Craig 12 for everyday, George T Stagg for now and then. The Craig is not expensive and so smooth. Blanton's is dynamite but for something just as good if not better and for a little less money try Basil Hayden's. Not always in their bourbons but any of the High West I have found that I absolutely love. Didn't know that, Top, but I'm a long-time Beam drinker and don't bother buying pricier bourbons too often. Might have to pick up a bottle and compare, though. And Ebag, what do you do in the Navy? cob and a Czech pipe, since his pipes seemed to be getting away from him. the yin, I also do Jack, Makers, or a single-malt Scotch (but that ain't bourbon). I also like wine; my wife is crazy-good at pairing it with food. To all the drinkers of Buffalo Trace: How much do you guys pay for a bottle of this stuff? There is a liquor store that carries it here in town but if I can find it cheaper elsewhere I might be willing to take a drive to find it if it will save me some money. So, I've been actually reading up with the book 100 whiskeys to try before you die. Some of those things are so expensive. Oh good god. Bulleit all the way. Their rye is pretty damn fabulous as well. Also, rothnh, coast of Maine, you say? Southern? I'm a Biddeford boy, m'self. Knob Creek is my current favorite with Woodford Reserve, Gentleman Jack, and JD Single Barrel close behind. There are several on this thread that I'd like to try but haven't gotten around to mostly due to availability here in the sticks. And if you ever get around Louisville, KY, take the Bourbon Trail. Takes you to all the distilaries. Street signs to follow, Markers was our favorite, worth the time. Wiscasset Maine here!!! The Kennebec River is now ice free, a sure sign of spring but it's still 20 degrees tonight. And there's plenty of Evan Williams at the NH liquor stores heading north. As a Kentuckian and a liquor store manager, I feel kinda strongly about this. Knob, Makers, and Woodford are my three favorite regular production. I like Woodford's balance, Knob Creek's long finish (which goes REALLY well with a good smoke), and Makers is an icon for a reason; you really cannot talk bourbon without Maker's entering the conversation. It's not the entire conversation, but it is a conversation starter. Also, if anyone likes a secondary aging in alternate wood, PLEASE go out of your way to find you some Angels' Envy; reminds me of the Woodford Masrer Distiller Sonoma Cutrer release a couple of years back. Definitely going to have to try that one. Mike, I'm a crypto tech. Ahh....used to call you guys Spooks when I was in...do they still? Haha. Yeah, we're still called spooks. Don't think that's ever going to go away. My favorite of many favorites has always been Woodford Reserve with Maker's Mark coming in second. I dont drink much, when I do I drink jack, not sayin it's the best but its cheap and it's everywhere. I heard of one that made me curious a while back. I think it was Kevin who posted about it, it was a liqour made with Perq or tastes like Perq, anyone have any ideal what I'm talking about? Love all dark liquor. JD is not my favorite but worked there one summer. Loaded trucks with boxes for decent pay. Made friends and they gave me a 30 year old reserve bottle. Was Mothers milk to me. Can't touch the regular stuff now.